When Black Panther hits cinemas next year, we’ll see the king of Wakanda facing off against a number of his classic villains like Ulysses Klaue and Erik Killmonger. 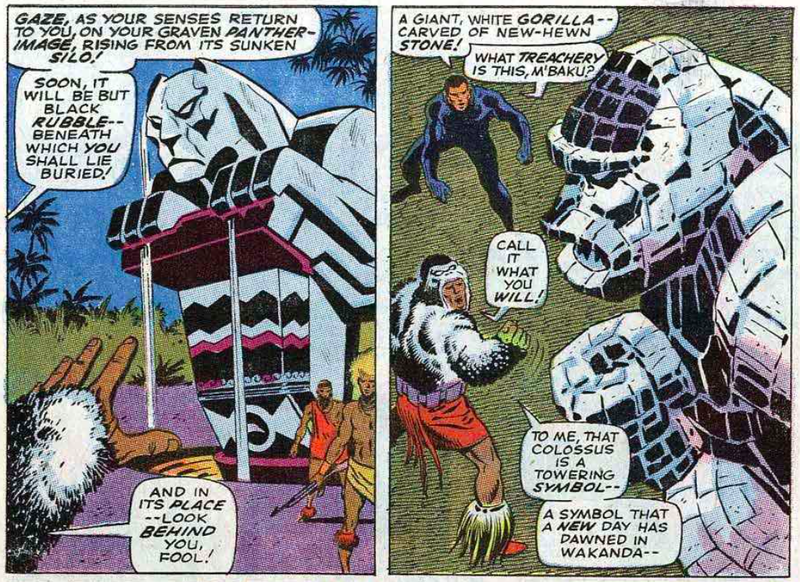 But in order to include Man-Ape, one of the Black Panther’s more iconic foes, Marvel had to be thoughtful and get creative. Speaking to Entertainment Weekly, Black Panther executive producer Nate Moore explained how the studio recognised the narrative value Man-Ape’s character (portrayed by Winston Duke) could bring to the movie and worked to modify him to avoid any potential controversy. The first step was an easy one: dropping his codename. In lieu of his classic gorilla suit, Black Panther’s take on M’Baka is less literal and involves an intricate set of armour that features a number of gorilla-inspired accents. Not only does the suit do a solid job of paying tribute to Man-Ape’s original design, it also makes it clear that when we finally get a chance to meet M’Baka, it’ll be impossible to see him as anything but a human.